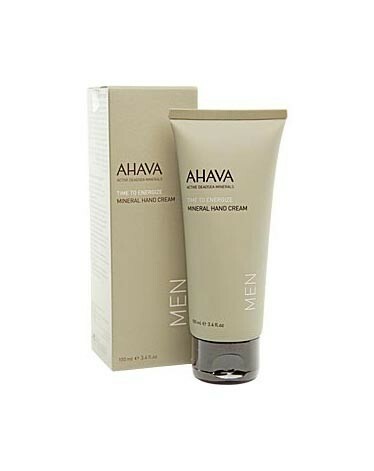 AHAVA Mineral Hand Cream for Men. This Dead Sea mineral-rich cream is a grease less formula specially created to nourish and heal a man's dry, cracked skin. The fast-absorbing blend provides optimal moisture and long-lasting protection without leaving an oily residue. Size: 100 ml / 3.4 fl. oz.